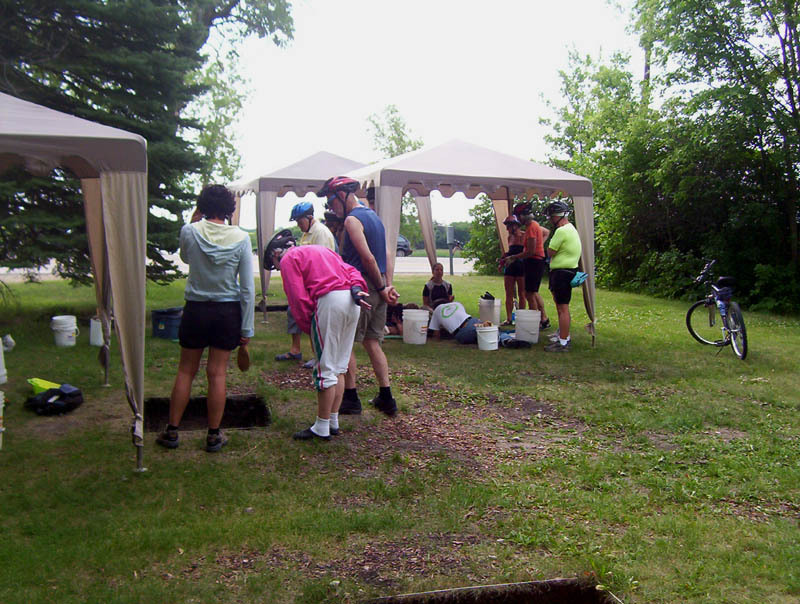 A group of cyclists stopped by the Healing Site for a brief tour of the excavation units. 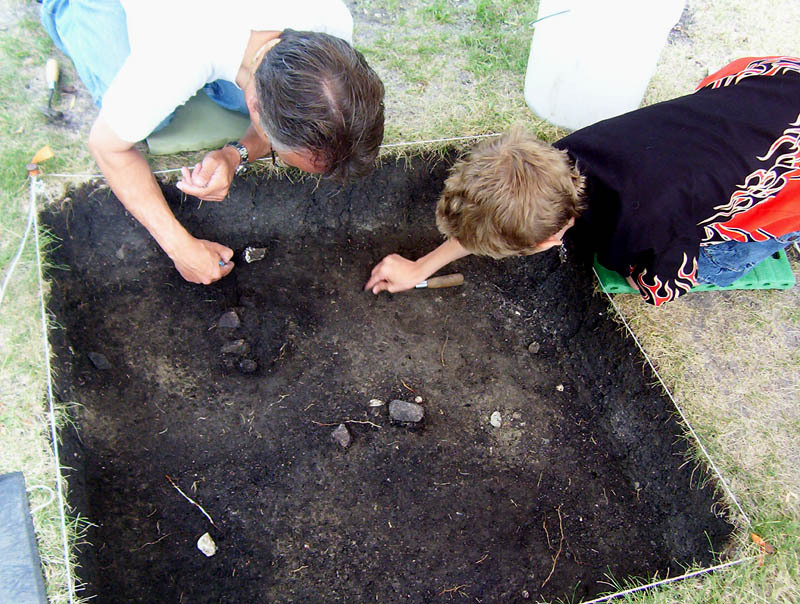 They had an opportunity to view a hearth (or fire pit) that had been recently exposed in Unit 8. 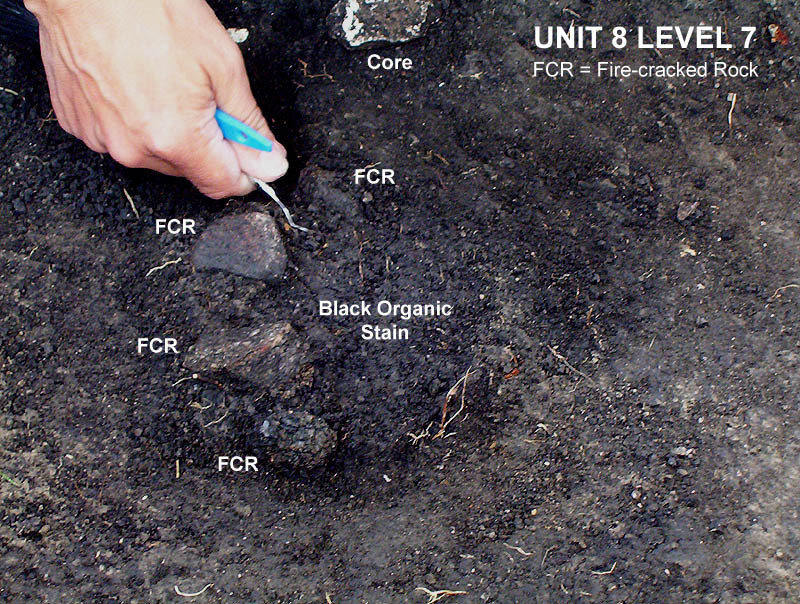 The fire-cracked rock, black organic soil and ash that represent the remains of the hearth were near the stone axe reported on July 23. 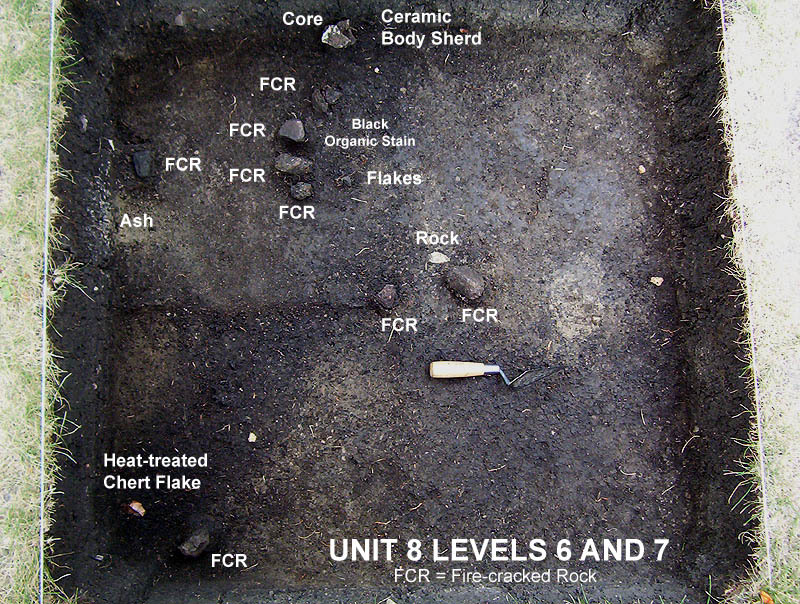 A pottery sherd, core and flakes were also beside the hearth.